Within our large comprehensive range of portable cabins, we offer used or pre-owned buildings. These Buildings can be bought as seen or we can refurbish and convert them to meet your exact requirements. We have many Used Buildings regularly available including Steel Anti-Vandal Cabins, Traditional Jackleg Cabins and Modular Buildings. We have buildings arriving every day so please contact us if you require a building not listed on our site. We also buy Used Portable Buildings of all types and sizes, please email us with details of your building including some pictures and we will come back to you as quickly as possible. 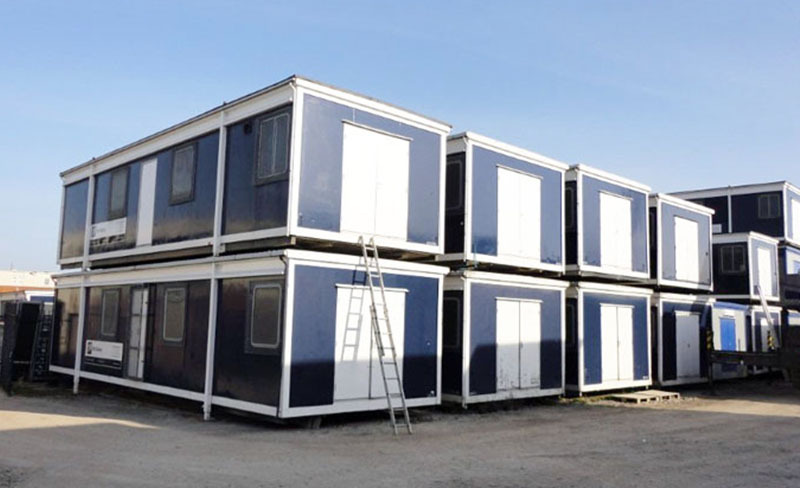 Our stock of Used Steel Anti Vandal Cabins are available in many sizes and specifications including Offices, Messrooms, Canteens, Drying Rooms and Toilets. These cabins can be purchased in their current condition or we can refurbish or convert them to meet your specific requirements. We are unable to keep an up to date list of all available cabins online, please visit our Stock List Page for a selection of our current stock. Our used Jack Leg cabin range are Timber Framed and include Textured Cabins, Plastisol Clad Cabins and genuine Portakabin Buildings in various sizes and specifications. Types available include Classrooms, Offices, Messrooms, Drying Rooms, Toilets and more. We are unable to keep an up to date list of all available cabins online, please visit our Stock List Page for a selection of our current stock. We have many quality Used Modular Buildings for sale which can be either sold as seen or refurbished and converted to your individual requirements. Please see our Stock List for details of Used Modular Buildings currently in stock, please call us if you do not see a suitable building below as we have many others available which may not yet be listed.